Sally Hopewell is a Associate Professor at the Centre for Statistics in Medicine, University of Oxford. Her key areas of research expertise are in the design, conduct and transparent reporting of randomized trials and systematic reviews. She has published extensively in these areas including the development of key reporting guidelines such as the CONSORT Statement and PRISMA for Abstracts. She is also Theme Lead for clinical trials within the Oxford Clinical Trials Unit (OCTRU), at the University of Oxford where she is involved in the design and delivery of a number of large multicentre trials within the OCTRU portfolio. She has a particular interest in clinical trial registration, data sharing, transparent reporting of clinical trial protocols, development of core outcome sets, pilot trials and trials of complex interventions. 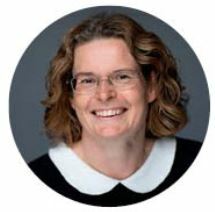 She is a Cochrane editor, , sits on the editorial board for the journal Systematic Reviews, the advisory board for Current Controlled Trials and the IDEAL Collaboration steering group. Lars G. Hemkens, MD, MPH, is Senior Scientist and Deputy Director of the Basel Institute for Clinical Epidemiology and Biostatistics (ceb), Department of Clinical Research, University Hospital Basel. Previously he was at the Stanford Prevention Research Center (Stanford University) and at IQWiG (Department of the Director). 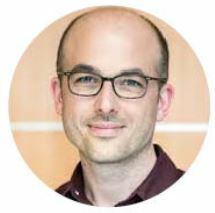 His key interests include answering health care questions with data that were not made for answering those questions.His work focuses on routinely collected data and big data, pragmatic trials and meta-research. As head of the study design and methods team at the Department of Clinical Research, he co-designs various clinical studies in a wide range of medical fields. He is board member of the Network for Evidence Based Medicine and co-speaker of its methods section, associate editor of Trials, sits in the editorial board of BMJ Evidence-Based Medicine and in the working committee of the RECORD reporting guideline group. He is coordinator of the RCD for RCT initiative, which aims to explore the use of routinely collected data for clinical trials. He has published more than 50 peer-reviewed articles, including publications in JAMA, BMJ, CMAJ, and PLoS Medicine and has co-authored 9 IQWiG reports. Daniel Strech, MD, PhD, is full professor and since 2018 chairs a research group on “Translational Bioethics” at the QUEST-Center (Charité – Universitätsmedizin Berlin, BIH – Berlin Institute of Health). He studied medicine and philosophy and worked for two years as a clinician and researcher in the field of psychiatry. 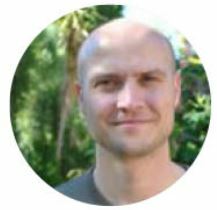 Since 2006 he worked full-time in the fields of research ethics and health policy analysis at the Universities of Tübingen and Zurich, and at Hannover Medical School. His work focuses on practice-oriented challenges in risk-benefit assessment, informed consent, and other areas of evidence-based decision making in research and health care. He published over 100 peer-reviewed articles in these areas and is member of several national and international advisory groups. 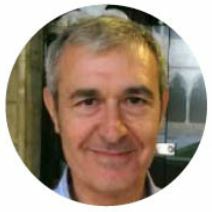 PhD in Medicine with postgraduate degrees in Publishing and Biostatistics, Gonzalo Casino is a lecturer in Scientific Journalism and Deputy Director of the Scientific Communication Observatory at Pompeu Fabra University. He has been the coordinator of the health pages of the Spanish newspaper El País for a decade.